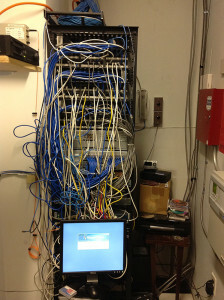 This tangle of wires is more than just a visual embarrassment. The technician will have to spend hours sorting through the rat’s nest just to determine your problem. This is not only billable time. It is also time spent isolated from your customers. 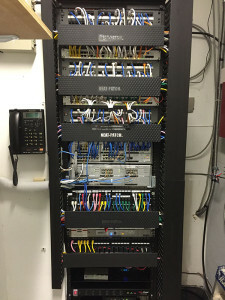 A well-organized network closet is not only visually appealing. It allows technicians to quickly and easily access equipment and repair as needed. It also improves airflow around equipment, reducing heat–a major cause of equipment failure. 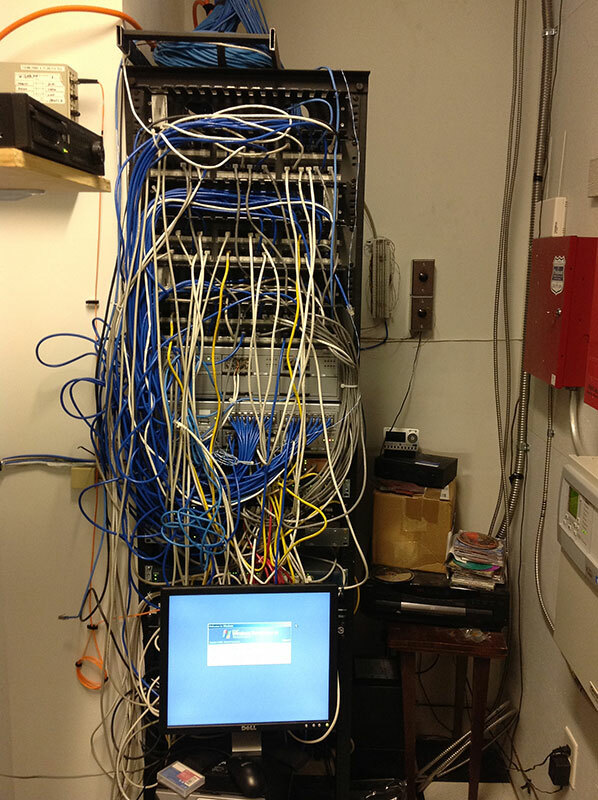 Demand that whoever installs your network infrastructure leave it well organized. And if your network is already established, check to make sure your network closet is organized and fix it now if it isn’t. That way you ensures that when your time bomb explodes, the damage is minor and fixed quickly. 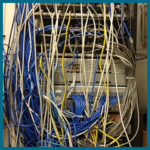 I can’t imagine having a network closet that looks like that top picture! I’ve never done much with network cabling, but even I can tell that it wouldn’t be acceptable to leave everything like that. I think if you want your network closet to be neat and organized, you should hire a professional service to take care of it for you. That’s a good point that good cable organization can improve airflow around equipment, reducing heat. I bet that can go along way toward extending the life of your electronics. Does that help with residential cable usage as well? I let my computers get messy sometimes.